Many people emphasize the importance of good teachers, and many local, state, and federal policies are designed to promote teacher quality. Research using student scores on standardized tests confirms the common perception that some teachers are more effective than others and also reveals that being taught by an effective teacher has important consequences for student achievement. Teachers matter more to student achievement than any other aspect of schooling. Many factors contribute to a student's academic performance, including individual characteristics and family and neighborhood experiences. But research suggests that, among school-related factors, teachers matter most. When it comes to student performance on reading and math tests, a teacher is estimated to have two to three times the impact of any other school factor, including services, facilities, and even leadership. Nonschool factors do influence student achievement, but they are largely outside a school's control. Some research suggests that, compared with teachers, individual and family characteristics may have four to eight times the impact on student achievement. But policy discussions focus on teachers because it is arguably easier for public policy to improve teaching than to change students' personal characteristics or family circumstances. Effective teaching has the potential to help level the playing field. Effective teachers are best identified by their performance, not by their background or experience. Despite common perceptions, effective teachers cannot reliably be identified based on where they went to school, whether they're licensed, or (after the first few years) how long they've taught. The best way to assess teachers' effectiveness is to look at their on-the-job performance, including what they do in the classroom and how much progress their students make on achievement tests. This has led to more policies that require evaluating teachers' on-the-job performance, based in part on evidence about their students' learning. Effective teachers tend to stay effective even when they change schools. 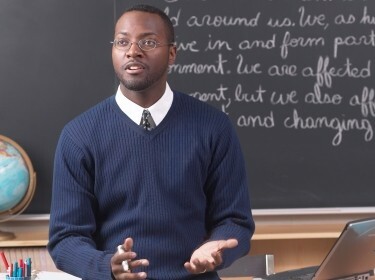 Recent evidence suggests that a teacher's impact on student achievement remains reasonably consistent even if the teacher changes schools and regardless of whether the new school is more or less advantaged than the old one.